Rusty, you are such a boy! 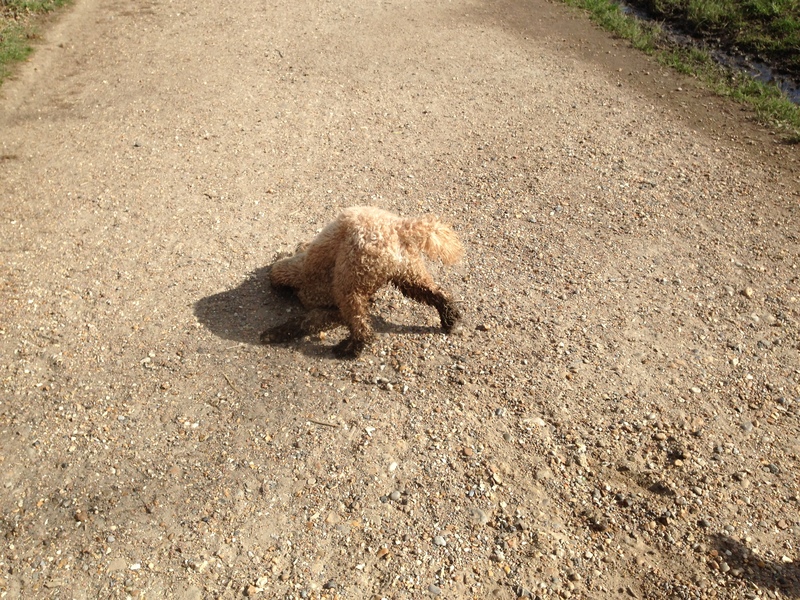 We were running nicely around the greens when Rusty spotted a muddy puddle … and in he goes! 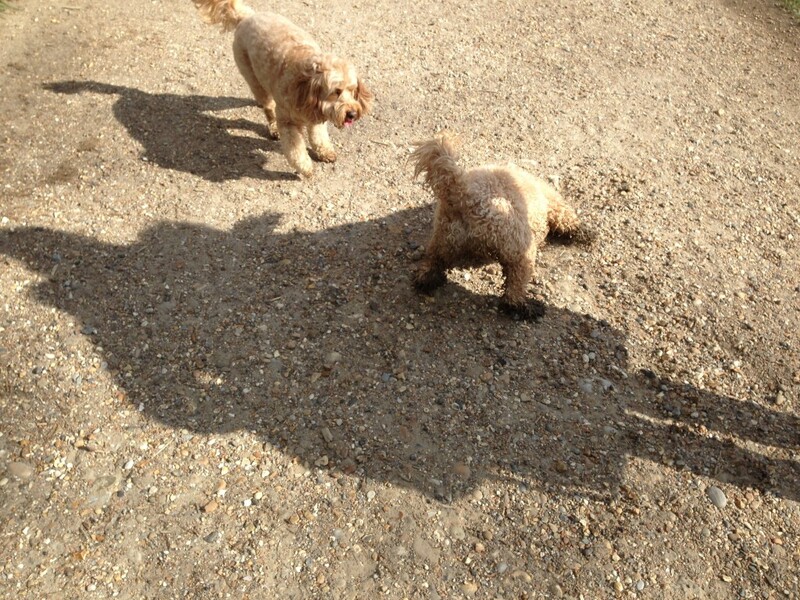 Then he comes out and runs after his Mummy! 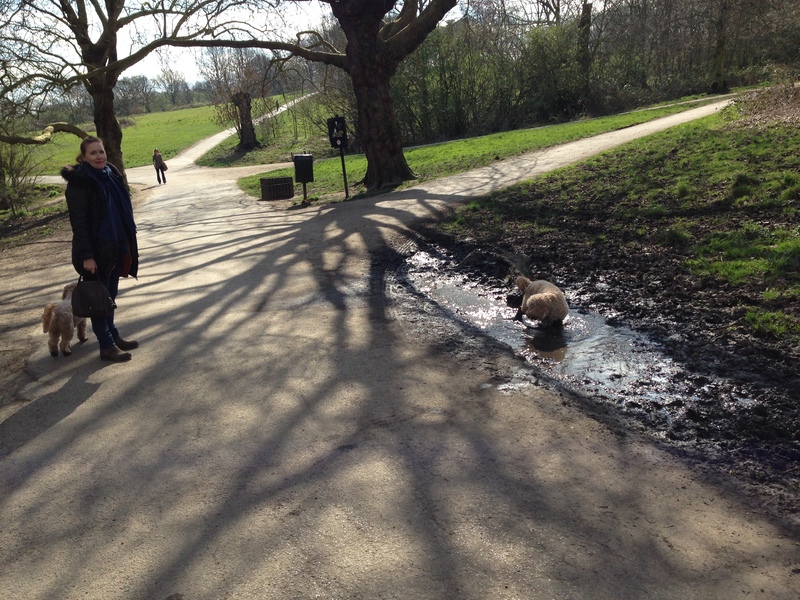 In the meantime, Mummy was shouting at me – “No! Darcy! Don’t you dare!” So I didn’t. 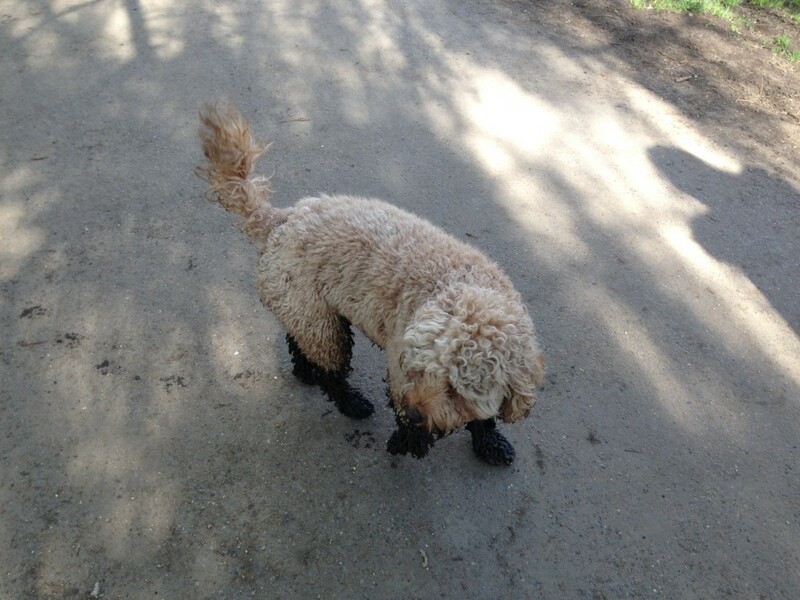 Here’s Rusty out of muddy puddle with black boots on his feet. And then he started to roll on the ground while I watched in amusement. He didn’t stop! 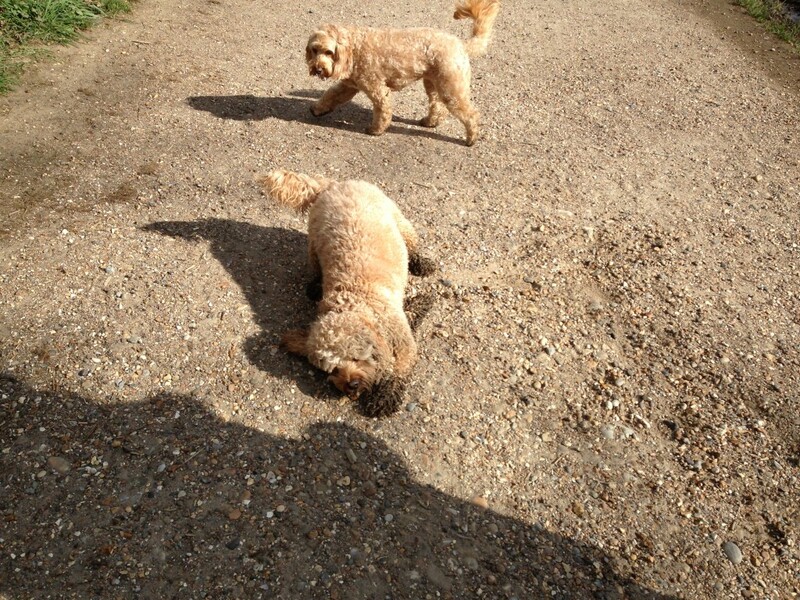 Mummy, what is Rusty doing? 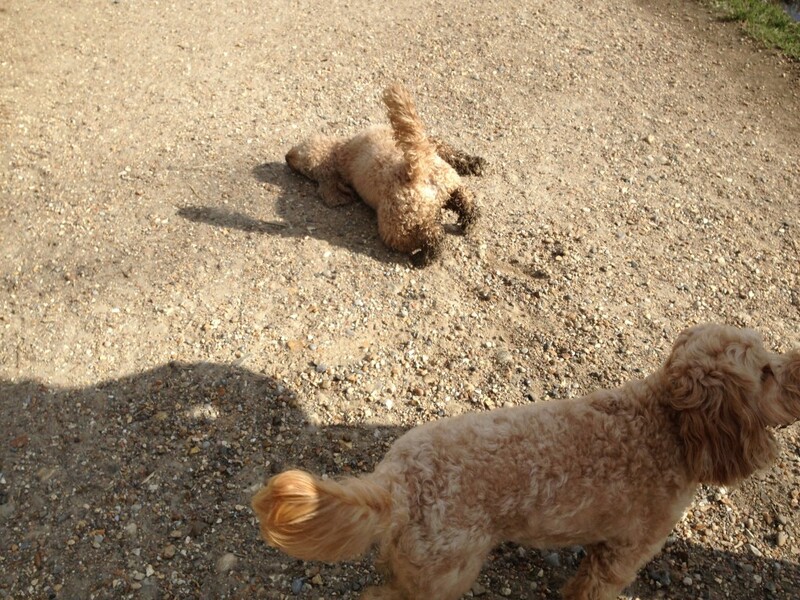 He looks like he’s rubbing in the dirt where he didn’t get when in the puddle. 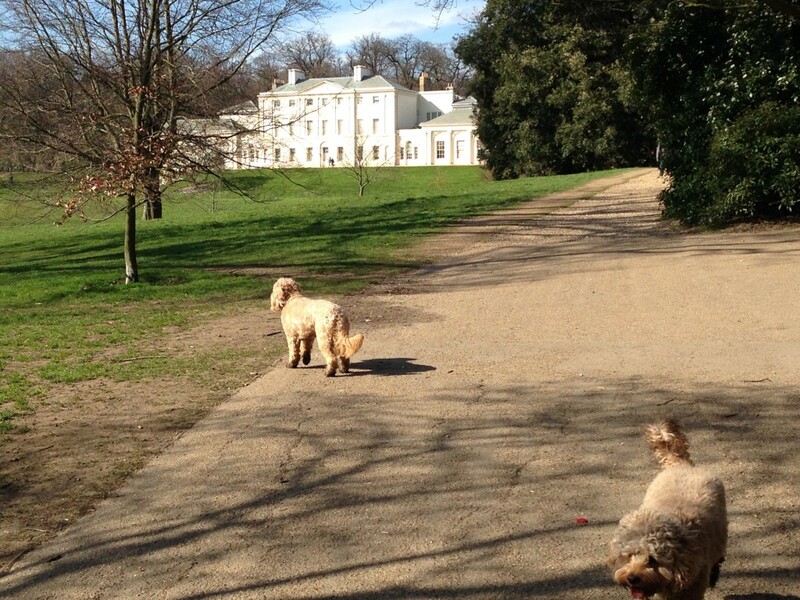 Hey Rusty, look at that beautiful view! You’re not interested? May’s comment: Boys will be boys!